· It’s perfectly design for men and women’s, you will definitely love it. · Three types of sizes are available. 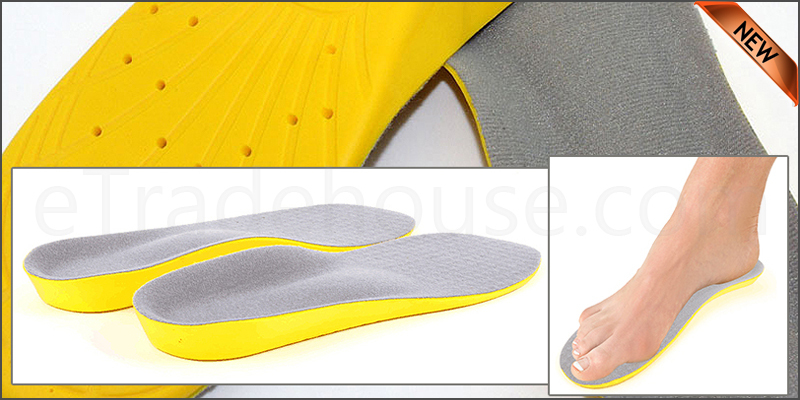 · Ourinnovative orthotic foot insoles are formed to make sure the foot functionscorrectly and help to get rid of pain. · Itshigh quality, fashionable, comfortable and stabilize foot motion. · Reducesheel pain, shin pain, knee pain and back pain.